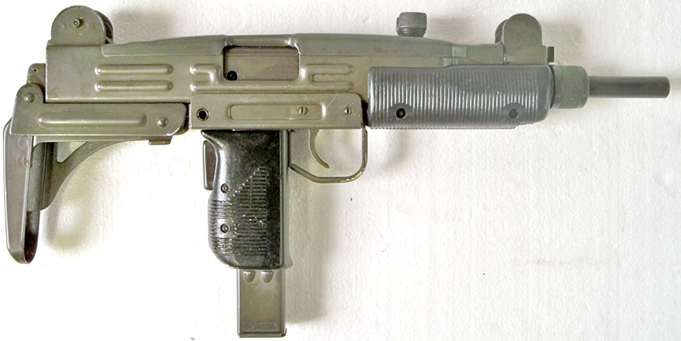 Deactivated Israeli Uzi in excellent condition, one of the most popular Smg's used by bodyguards and many groups protecting heads of state worldwide. Calibre 9mm Parabellum. Rate of fire 600 rounds per minute each deactivated Uzi comes complete with a 25 round magazine, and steel folding stock (as pictured). The Smg was designed in 1948 by Uziel Gal in 1954 the Israeli Defence Force Ordnance Corps ordered 8,000, it has been used since by many armies, an iconic piece of history. Condition very good.